Let us take care of all the lifting and loading for you! All you have to do is point, and let the junk removal Bearspaw representatives get rid of junk for you. The junk disposal experts can remove almost anything from anywhere at your home or business. From attics and basements to yards and garages, the JUSTJUNK movers can do it all. We arrive at a time that is most convenient for you, and can typically provide same- or next-day service. For hassle-free junk removal service, let the junk removal Bearspaw, Alberta, Canada team take care of everything. 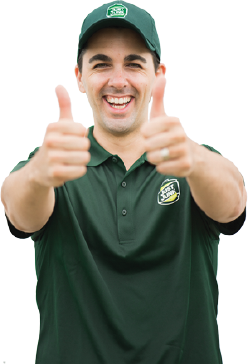 The JUSTJUNK junk removal Bearspaw team has created a unique, upfront pricing structure that always brings you the lowest prices, guaranteed. We provide a free, on-site estimate at no obligation that allows the junk haulers to see the exact amount of space your junk collection request occupies in the truck. By doing this, the junk removal Bearspaw experts ensure you only pay for the exact amount of space needed to remove junk from your property. As long as you are happy with the estimate, which always includes all junk disposal and labour fees, the junk removal Bearspaw representatives are happy to get to work immediately to complete your junk clearance. 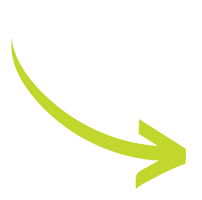 Recycling and donating are very important parts of the junk removal Bearspaw, AB, Canada service. As members of the community, we want to ensure that items removed during any junk promotion avoid the landfill whenever possible. That is why any items in good condition are sent to local charities and all recyclables go to the proper facility. 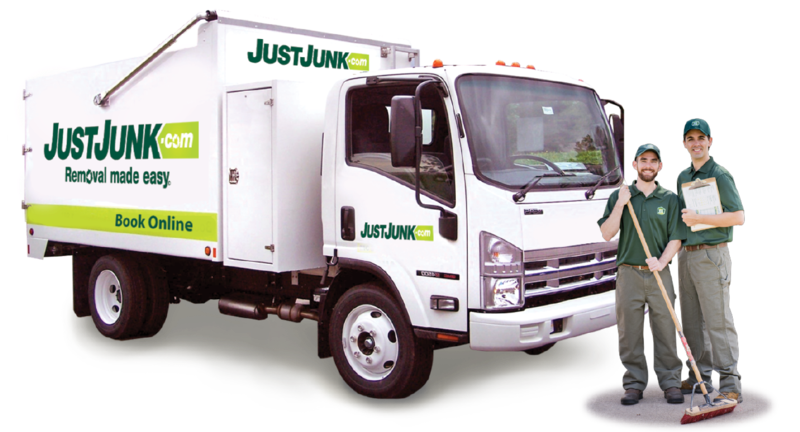 To have our JUSTJUNK truck come to your property, simply call 1-888-586-5888 or book online! I have used your company several times in the last year and would heartily recommend them. The teams are always professional, careful and on time! You guys are great! easy to book online and showed up in time. thank you! They were here when they said they would be. I pointed out what I needed hauled away and they did the rest. Ollie introduced himself as soon as he walked in the door. Incredibly polite and well spoken. This is my 3rd time using this company. I'll use them again when needed. No playing around. They went right to work. Polite and professional. Oliver and his team member were great to work with. Oliver called ahead and let me know of his timing. He was very professional in looking over the job, providing an on the spot estimate, and then getting to work. He had excellent information about the company's focus on recycling and use of items by the Women's shelter and students. I would definitely use this service again and would not hesitate to recommend your services to a friend. Very polite, friendly and straightforward. Worked quickly and efficiently. Will use again! Very professional, efficient, and pleasant on the phone and in person. I will definitely use your services again. Guys were on time, quick and efficient. Very friendly. Courtesy call was made prior to arrival. Excellent job. Will definitely use this company again. After receiving many quotations to empty my dad's house (who was a hoarder). Just Junk was the only company who would provide a firm quote (worst case scenario). With the volume of JUNK in the house, it was reassuring to know exactly what would be charged. All other companies would only provide estimates. Mike and his staff were AWESOME! They handled this overwhelming job professionally and efficiently. All the guys were polite and kind, even though to me the house looked like a disaster. I can't believe they removed everything in just two days. I would definitely use Just Junk again, and absolutely recommend to anyone. The men came right on time and were very courteous and thorough. I was very pleased. Just a great job!!! The guys were courteous and very professional. The job was done quickly and the price was exactly as stated. Thanks. The young men who were here were very efficient and pleasant. Couldn't have gone better. Mike and Eric were friendly and polite. They went right to work loading up all my junk. I will not only recommend your company, I expect to call on your services again next spring. Impressive young men and very polite.